Augmented reality is one of the hottest digital technology trends of 2016. While video game developers are working on new ways to make gaming immersive, marketers are also finding ways to gamify ads, making them more interactive and storied. Using 360 video to showcase the latest merchandise in a store-front, or to create an immersive branded story using digital design, could return massive engagement with your ad. Facebook announced this feature, saying it’s ‘a unique way to engage people on mobile and encourage them to interact with content’, and there is no denying that greater engagement leads to more conversions. In the past, marketers were limited to single Facebook Canvas experiences that told a story within a fairly limited sequence of frames. Now that Facebook has announced the ability to link to your other Canvas experiences, you can create a Canvas ad that keeps viewers enthralled as they engage with a circular or more complicated series or Canvas experiences. The net result of this could be that viewers spend longer viewing your ads, taking in more of your key brand communication. Another feature Facebook announced in its September update is the inclusion of more metrics for your Canvas ads. This is good news for Facebook marketers hoping to gain more granular insights into what works in a Canvas ad and what doesn’t. 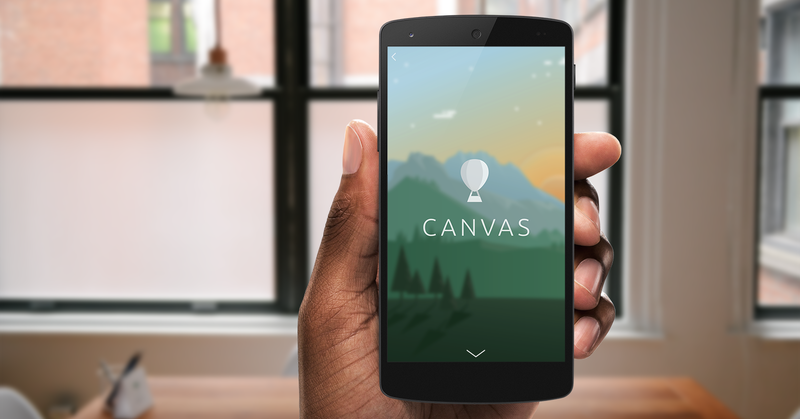 With the Canvas update, you can see metrics for the performance of videos, photos and buttons. This will give you key insights into what aspects of every campaign to test and improve. The net result of more insights being available is that you can tweak your Canvas ads from a data-driven vantage point, making changes based on strong hypotheses that promise uplift in engagement and click-through. To get the most out of your Facebook advertising, you need strategy and skilled social media management. Speak to Go Fish today about our social media marketing services.